Watercress Is The Healthiest Vegetable? Here's Proof! The Centers for Disease Control and Prevention in Atlanta doesn’t just have the morbid job of monitoring and managing negative health concerns–it is also responsible for helping us live better. It has recently released a study in its journal Preventing Chronic Disease to define “powerhouse” fruits and vegetables–those delivering the biggest nutritional bang for the buck. The first thing the researchers had to do was define “powerhouse” and devise a scale, a point of reference on which to base the forty-seven foods tested. 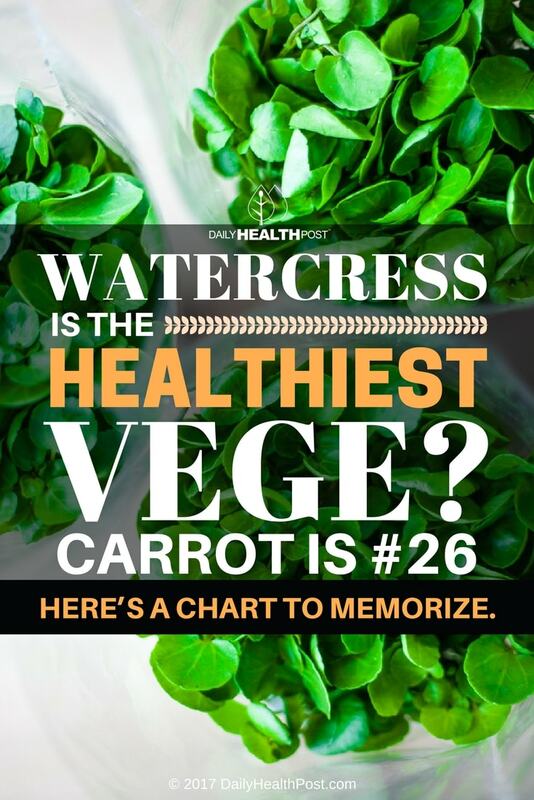 Based on these criteria, a vegetable not particularly popular in North America was jettisoned to the top of the list: watercress. Forty-one of the forty-seven produce items tested met the minimum ten percent daily value (DV) of the listed nutrients per one hundred calories. Watercress Received a Score of 100 (on a scale of 0 to 100). Watercress is not unknown in other parts of the world; there is even an annual Watercress Festival in the United Kingdom to celebrate this terrific vegetable. You can add it to a smoothie, salad, or sandwich. Doesn’t take much to get its goodies. 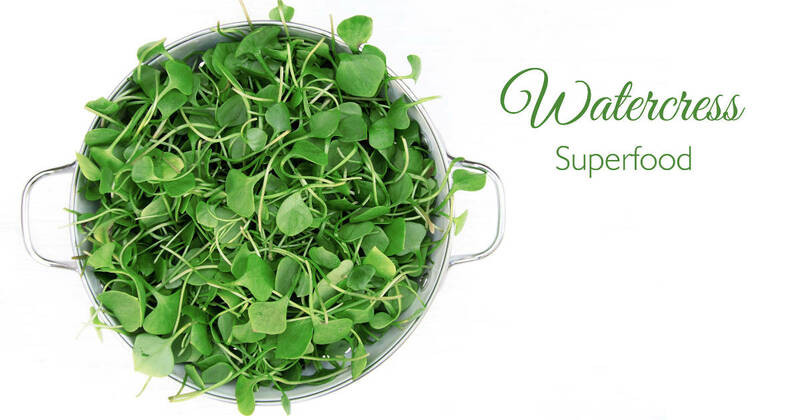 Latest Headlines » Nutrition » Watercress Is The Healthiest Vegetable? Carrot Is #26? Here’s A Chart To Memorize.